Tilapia are not native to Utah, and are currently only found in one water of Utah, which is Blue Lake, located off I-80 near the Utah/Nevada border. This lake is fed by warm springs, which keeps its temperature warm enough to sustain Tilapia even during the winter. 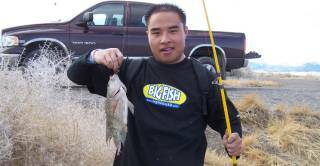 Tilapia cannot survive in the colder temperatures of other Utah waters. 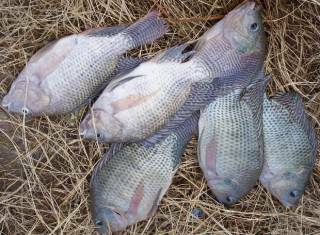 Note: a new regulation in 2009 - Mandatory keep and kill all Tilapia caught - they are an exotic illegally introduced species. There is no limit to how many you can keep as well. They compete heavily with the bass and bluegill.